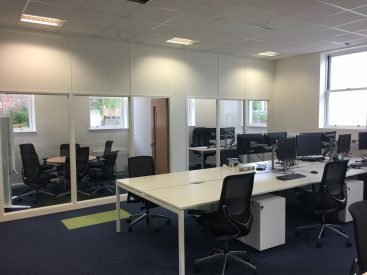 July marked SolutionIP’s relocation to much larger premises to accommodate their growing business and expanding workforce. The move is a huge advancement for the company who have stated their aspirations to relocate and were able to find a location that not only suited their need for a larger space, but also located in the same town as their previous head office. The location was of particular importance to both the local employees and business. The new office located in Westbury-on-Trym is a spacious, modern, open plan building. 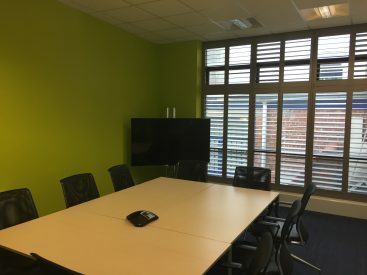 The layout allows all staff to work within the same area, increasing employee engagement, with a social breakout area and kitchen at the centre. 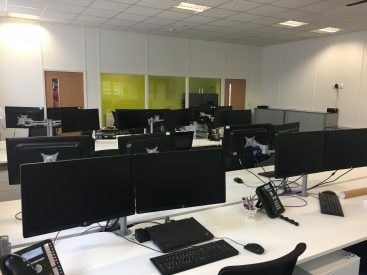 All employees enjoy the benefits of working in a new, open-plan space, along with brand new office equipment, a highly equipped service desk for the support team and new monitors and desk equipment for all employees. However, most importantly the new offices can accommodate the growing number of employees. Within the past financial year, SolutionIP has witnessed rapid growth within the company, with Director Patrick Lincoln driving and heading up the expansion of the sales team with tremendous results. The company has achieved significant sales growth this year and since relocating has recruited 5 additional members of staff. It is anticipated that a further 6 employees will be recruited by the end of 2017. SolutionIP pride themselves on providing the best-integrated telecommunications solutions to businesses nationwide. It was extremely important to Patrick that the company remain in the local area, where the business was founded and where they work closely with their local and valued clients- many of whom who have worked with SolutionIP for many years.